About Smokin’: By Ch Rocky Of Fran-Jo Decathlon (Rocky) – Schwarz Der Wald Shame V Lee Ray (Shameless). Smokin’ is the litter brother to Naomi. 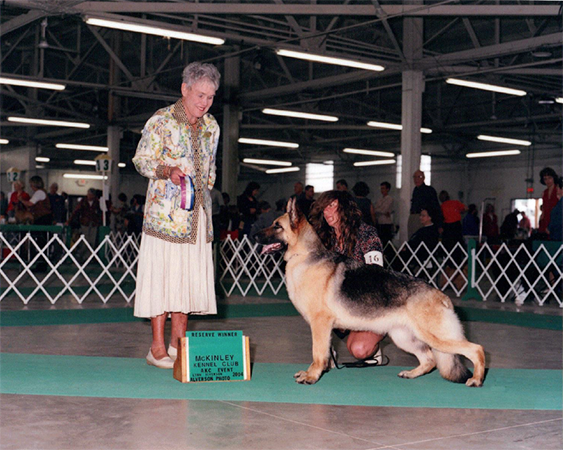 Owned by Donna Zierer of Tash Val Kennel. About Jailer: CH. Anticipation of Lee Ray – Ch. Yarmork’s Elvis. Owned by Donna Zierer. About Aaron: CH. Pete of Fran Jo x Proven Hills Dear Heart. Litter brother to CH. Patty. Owned by Sandra Kozub of KCK Kennel. About Abe: CH. Rocky Of Fran-Jo Decathlon (Rocky) – Dusky Sally Zu Apfelsine (Sally). Owned by Harolyn Van Every. About Rico: “A nice dog of medium size, with rich black and red pigment, balanced side gait, clean coming and going, good back, good feet, good ligamentation. His performance was consistent. 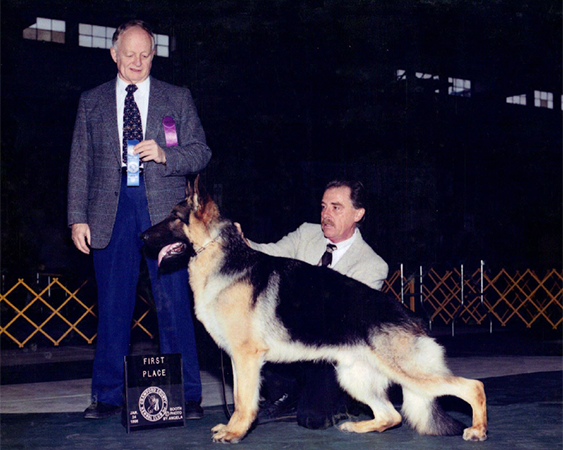 An overall good working dog with excellent temperament.” – Judge Jaime Walker. CH. Jo-Win’s Main Street – Tash Val Naomi of Lee Ray. Owned by Henry & Terri Stout. 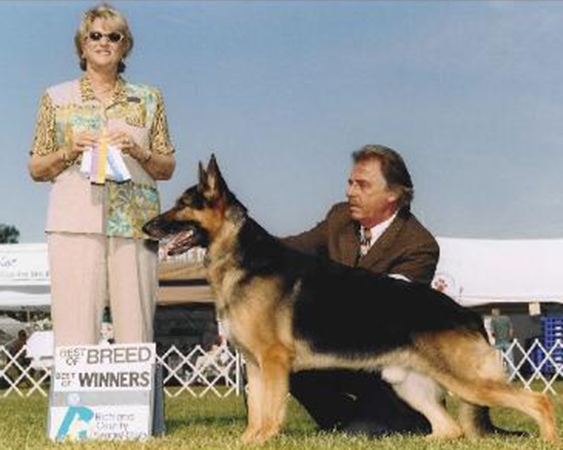 About Chevy: CH Rocky Of Fran-Jo Decathlon – Adorher Starbright. Owned by Tom Falkenstein. 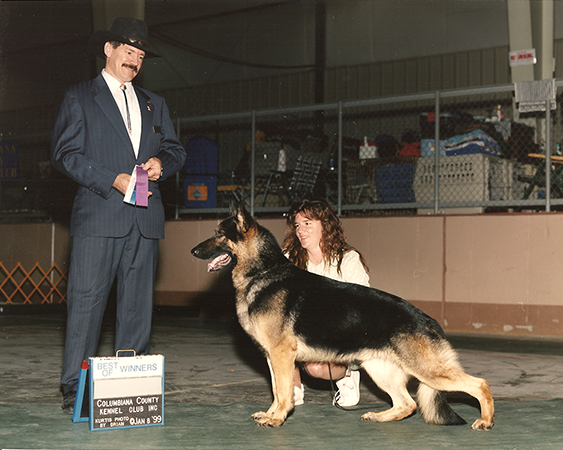 About Ellie: Ch Rocky Of Fran-Jo Decathlon – Yarmork’s Tarrah. Owned by Tonya Haney.